Watch this video to learn about the meaning behind our brand new logo. Missouri Baptist Foundation (MBF) offers fund management services for churches and mission and ministry organizations. MBF manages investments to grow principle and provide income for ministry. With just a little planning, you can have peace of mind knowing you have protected yourself, taken care of your family and will leave a legacy. One of the most effective ways to do this is having a current estate plan. The Missouri Baptist Foundation helps you leave your legacy while protecting and providing for your loved ones. 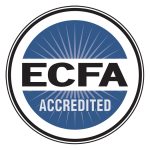 Missouri Baptist Foundation (MBF) accepts gifts on behalf of Christian organizations or you can arrange a planned gift to benefit your church or ministry of your choice.